Volatility Index measures market’s expectation of volatility over the near term. Volatility here refers to rate of changes in prices or risk. It is denoted in percentage and higher the VIX, higher is the volatility. 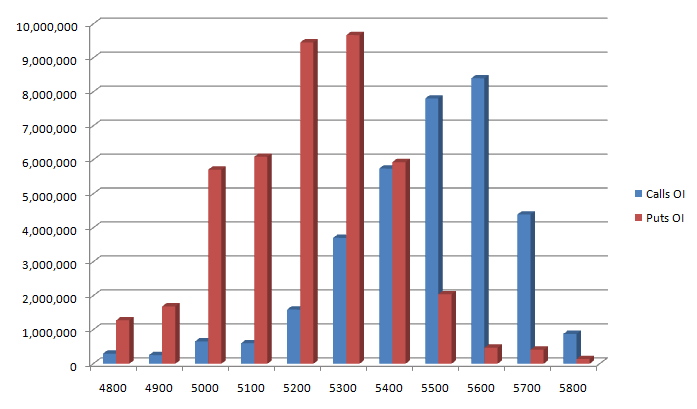 The index does not tell about the price movement but the risk associates with the stocks. Normally is a range bound or mild upside market, VIX is low while in case of selling pressure, value of VIX rises. If value of India VIX is below 20 then market is perceived as slowly trending/sideways with less amount of fear and above 30, then market is perceived fragile and above 40, market is uncertain while above 50, market is dangerous. 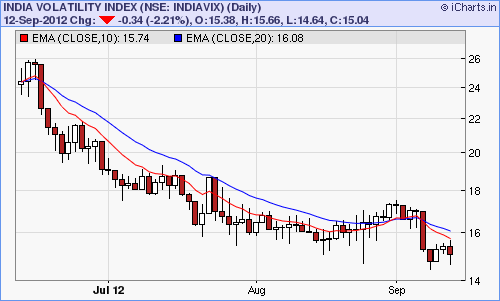 During the entire month of august and September(till date) India VIX value remains below 18 signifying that there are high chances of continuation of compressed/sideways market.